The U.S. Constitution’s second amendment gives us the “right to bear arms,” but what if having a gun for protection is actually putting you more at risk of harm? A new study finds that a person’s chances of being involved in a fatal police shooting is higher in states with the highest rates of gun ownership, compared to those with the lowest. The study, from researchers at the Harvard T.H. Chan School of Public Health and Northeastern University found that people were 3.6 times more likely to be involved in fatal police shootings if they lived in the 10 states with the most guns — Alaska, Georgia, Idaho, Kentucky, Louisian, Missouri, Montana, Oklahoma, South Carolina and West Virginia — than if they lived in the five states with the least — Connecticut, Hawaii, Massachusetts, New Jersey and New York. A crime scene with gun and markers on the floor is pictured in this undated stock photo. Rates of fatal police shootings in the U.S. are among the highest of any other developed country, with about 1,000 civilians killed each year. This data comes from the Washington Post’s “Fatal Force Database,” which the researchers used for their study because there isn’t a federal database to track police-inflicted deaths. Looking at data for the years 2015-2017, the researchers asessed the levels of household gun ownership in each state, and adjusted for violent crime rates, as well as the proportion of the population that was non-white or living in poverty and urbanization. During the three years, they calculated a total of 2,934 fatal police shootings, and found that 56 percent of those killed were armed with a gun. In all, a fatal shooting was 40 percent more likely to happen in states with more guns. 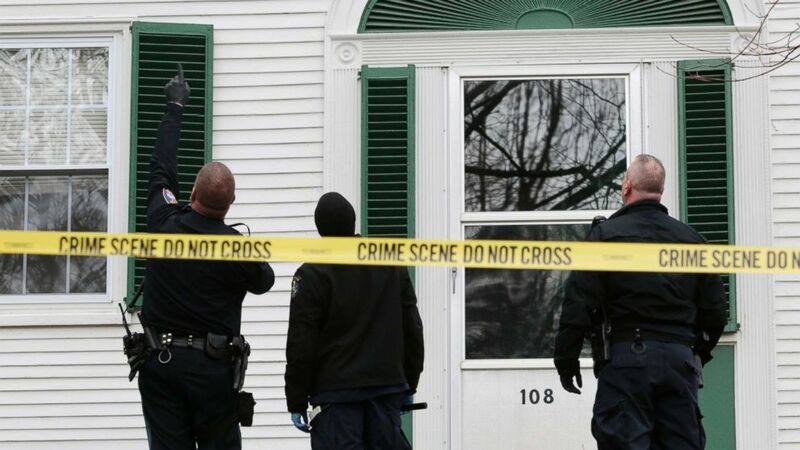 Police tape is pictured in this undated stock photo. “The high gun states tend to have weaker gun laws in comparison to the weak gun states,” said lead author David Hemenway, a professor of health policy at Harvard. It was unclear from the study if the shootings were justifiable or preventable. Previous studies have shown that police in the U.S. are more likely to be shot and killed in states with high rates of gun ownership.